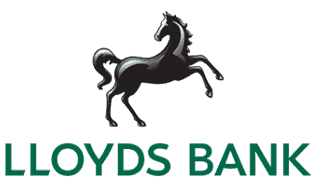 Lloyds Avios Credit Card – Why you should avoid the Lloyds Amex! At the start of 2018, Lloyds announced that they would be stopping new applications to the Lloyds Avios Rewards American Express and Mastercard credit cards. Nearly six months after this Lloyds began sending out letters to existing Lloyds Avios credit card holders informing them that they would in due course be switched over to a brand new Lloyds Mastercard Avios credit card. The roll-out process has taken considerably longer than both Lloyds and the market expected, with numerous customers still claiming that they haven’t received their letters informing them of the closure of their Lloyds Amex card. With this in mind we thought we’d run through the ongoing changes to the former Lloyds American Express credit card and work out whether customers are better off switching over to the new Lloyds Avios Rewards Mastercard or if in fact they should look elsewhere! Spoiler Alert: There are a number of credit cards on the market which offer superior benefits – read on to find out which one is best suited to you! Before we jump into this Lloyds Avios card review, let’s start off by answering one simple question… Why would (or should) you want an Avios credit card? Is the New Lloyds Avios Rewards Mastercard a Good Deal? Existing Lloyds Amex Cardholders – What should you do? Whilst most people will now have been switched over from the old Lloyds Duo American Express and Mastercard combination, there are still a small number who are still clinging on to their once beloved Lloyds Avios cards. We understand that to possibly reduce the burden on the Lloyds IT infrastructure (trying to learn from TSB’s mistakes I hope!) Lloyds have phased the migration of the old Lloyds American Express credit cards, with the last customers expecting to receive letters by the end of April 2019. Let’s face it, there’s been a significant deterioration in the overall offering of the new Lloyds Mastercard Avios credit card. Whilst the annual fee of £24 has been scrapped, so has the free upgrade voucher! Admittedly I generally didn’t rate the Lloyds Bank American Express card, but this perk was worth a reasonable amount. Let’s assume you used the free upgrade voucher on a flight between say London and New York to fly Club World (Business) as opposed to premium economy. In this instance you’d save between 40,000 and 48,000 Avios depending on whether you are flying peak or off-peak dates. I would usually value an Avios point at approximately 1p, which in this instance would result in the free upgrade voucher being worth between £400 and £480. It’s a real shame this is no longer offered on the new Lloyds Bank Avios card. FX Fees – The loss of the 0% foreign exchange fee is another blow to existing customers. The Lloyds Bank American Express card was the only Amex card in the UK market which offered fee-free overseas spending. 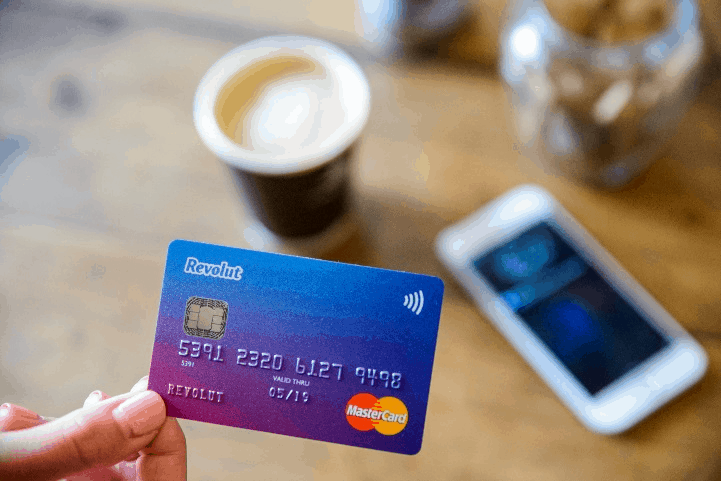 With an increased foreign exchange fee of 2.95% you’d be better off with something like the 0% FX fee Revolut Card (reviewed here). Avios Collection Rate – The new card has its positives and negatives when it comes to ongoing Avios earnings. 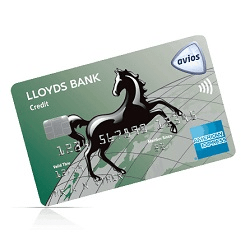 The new Lloyds Avios credit card will offer a measly 2 points for every £5 spent on the card. This compares to 6.25 Avios for every £5 on the previous Amex Lloyds credit card! However the new earnings rate is actually above the 1.5 Avios points earned for every £5 spent on the old Lloyds Mastercard Avios card. So if you were struggling to use the Amex version of the card at your local retailers, you’re now likely to be marginally better off. However for those who mainly spent on the American Express, they will now be earning less than a third of historic levels. Whilst the annual fee for the new Lloyds Avios credit card has been ditched, the lack of the Lloyds Avios upgrade voucher, increased FX fees and significantly reduced earnings rate means that we’ve given a big thumbs down to the new Lloyds MasterCard Avios card! With that in mind let’s take a look at what else is available in the UK credit card market. With strong competition in the UK credit card market we’re seeing some extremely generous offers aimed at both attracting new customers and retaining existing customers. The value of these benefits can vary significantly so let’s take a look at the possible alternatives to the Lloyds Avios points credit card. Now whilst we’ve included the free BA American Express we have done so for comparison purposes and wouldn’t recommend signing up! Why not? Simple – as we’ll see, there are far better free cards available. OK back to the BA credit card! The card offers a sign-up bonus of 5,000 Avios points when you send £1,000 in the first 3 months. This can be increased to 6,000 Avios points using this link and scrolling down to the free version of the card. You’d have to spend a staggering £15,000 on the new Lloyds Avios Rewards Mastercard to earn this many points! The BA Amex Card also offers an ongoing Avios collection rate of 1 Avios for every £1 spent on the card. Whilst this is worse than the 1.25 Avios per £1 spent offered by the old Lloyds Amex it is significantly above the 0.4 Avios per £1 offered by the new card. 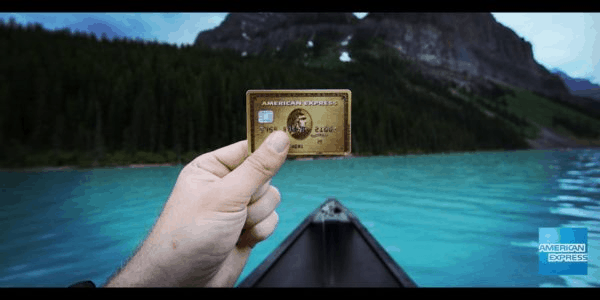 As regular readers and avid Avios points collectors know, the American Express Gold Card is currently one of the most generous reward credit cards available in the UK. The card is free for the first year and then comes with an annual fee of £140. We’d recommend most people cancel the card before the second year to avoid paying this fee. You’ll receive a bonus of 20,000 reward points when you sign up to the card and spend £2,000 in the first 3 months. Reward points can be converted directly to Avios at a rate of 1:1. You can also increase the sign-up bonus from 20,000 to 22,000 points by using this link. You’ll also receive an ongoing earnings rate of 1 point for every £1 spent on the card as well as two free airport lounge passes when you sign up. With an exceptional sign-up bonus, 2 free lounge passes and a good, ongoing earnings rate, we believe the Amex Gold is one of the best cards in the UK market. You can read how I combined this card with the BA Premium Plus (below) for 2 free First Class flights here. The BA Premium Plus credit card comes with what sounds like a large annual fee of £195. However for those who’ll spend over £10k in a year, this fee may actually be cheap for the benefits offered! You’ll receive a sign-up bonus of 25,000 Avios points when you spend £3,000 on the card in the first 3 months. This can be increased to 26,000 Avios points by using this link and scrolling down to the correct card. As I mentioned earlier we would value an Avios point in the region of 1p. As such, this sign-up bonus could be worth as much as £260, which would more than offset the cost of the card. HOWEVER, the real benefit lies with the 2-4-1 voucher when you spend £10k in a 12-month period (compared with £20k on the free card). The value of the voucher will vary depending on the reward flight you choose. Clearly if you redeem for a return flight between London and Geneva, a saving of 9,000 Avios points isn’t great. However I’ve just used my most recent 2-4-1 voucher for 2 return First Class flights to Tokyo – saving me an enormous 204,000 Avios points (or a possible £2,040 saving)! If you already have a Lloyds American Express credit card and haven’t received a letter as yet there’s nothing to do at this stage. It’s rumoured that you will have until the 2nd February to spend the £7,000 to receive the free upgrade voucher. Caveat – this is just a rumour and there has been no formal announcement from British Airways. Your direct debits should be automatically transferred from the old Lloyds Avios points credit cards to the new Lloyds Avios Rewards Mastercard. You should also receive a pro-rata refund of the £24 annual fee which will be credited to your credit card account. Writing this Lloyds Avios credit card review takes me down memory lane. This was the first ever Avios-earning credit card I signed up to (and was accepted for!). At the time, I was at university and no other American Express provider would accept my application L.
Since then, the rewards market has continued to develop and competition to attract and retain customers has heated up. With this in mind, the benefits of the Lloyds Avios Rewards Mastercard are unfortunately not what they once were. The loss of the free upgrade voucher, 6.25 Avios per £1 with the Lloyds Amex card and 0% FX fees will hit customers of the new Lloyds Avios Rewards Mastercard particularly hard! As we’ve also seen, there are now other free cards on the market with exceptional sign-up bonuses and strong, continued earnings rates. If you’re looking to earn Avios points with a free UK credit card then we’d definitely recommend the Amex Gold Card (reviewed in full here). Don’t forget you can increase the sign-up bonus from 20,000 points to 22,000 points by using this link. If you spend over £10k per year on a credit card you may also want to consider combining the Gold Card with the BA Premium Card like I did when booking my First Class BA tickets between London and Sao Paulo. Within the review (found here) is a step-by-step guide as to how you could also earn enough points for a First Class flight. We hope you’ve enjoyed this Lloyds Mastercard Avios credit card review and as always please do reach out if you have any comments.